Broadband indicates a bandwidth or a frequency range, which is very large or rather wide. We often forget to talk about very basic topics instead buzz words. Unlike narrowband, which is very small and narrow by usage, the term broadband is usually always used in the context of digital transmission methods and transfer rates. Broadband range is synonymous with a lot of transmission capacity. In particular in the transmission of data which is an important criterion. The more bandwidth is, the more data can be transferred per unit of time. DSL is almost synonymous with high-speed internet access and is almost exclusively used all over the World. 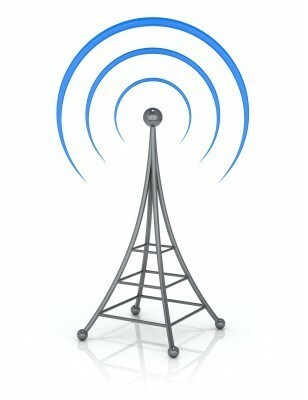 Today, wireless technology is the future of broadband access networks. Especially in remote areas. There is the range of ADSL and it does not reach every household. Fiber-optic cable is the technologies of the future, in order to realize broadband access. When the first broadband Internet access were available, it was interesting. The high speed bandwidth and thus the high transmission speed promised to retrieve Web pages within a fraction of a second. With one click, the website was being. Internet users interested for the first time for more, such as audio and video. Over the past years, the transmission speed of broadband connections has increased more and more. With DSL, we are currently at 16 Mbit / s, sometimes even 20 Mbit / s, on average all over the World. With Optical Fiber and Mobile Broadband, the speed has been over 100 Mbps. This Article Has Been Shared 7335 Times! Cite this article as: Abhishek Ghosh, "Broadband : The Basics," in The Customize Windows, January 4, 2013, April 18, 2019, https://thecustomizewindows.com/2013/01/broadband-the-basics/.